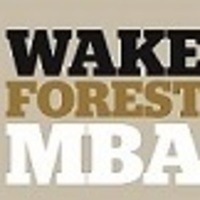 Are you wanting to know what makes the Wake MBA experience unique? Interested in gaining first-hand exposure to our outstanding faculty and current MBA students in the classroom? Attend a Class Visit Day to experience the quality and value of the Wake MBA, our dynamic student culture, and get your questions answered directly from our current MBA students and Charlotte MBA Enrollment Management staff.